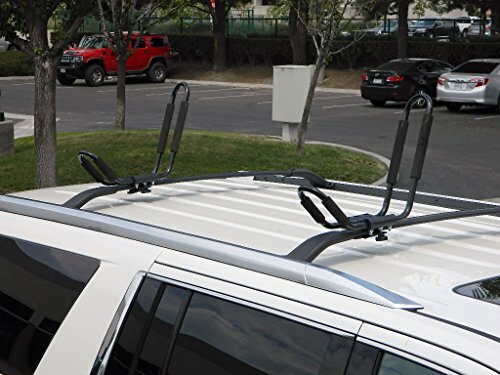 ToughSteelÂ® 2 Pair 4 Racks Universal Black J Shape Steel Kayak Canoe Boat Paddleboard Surfboard Snowboard Wakeboard Ski Roof Rack Car SUV Jeep Top Mount Crossbar by ToughSteelÂ® at Kerinci. MPN: FBA_TS-KY-02. Hurry! Limited time offer. Offer valid only while supplies last. If you have any questions about this product by ToughSteelÂ®, contact us by completing and submitting the form below. If you are looking for a specif part number, please include it with your message.